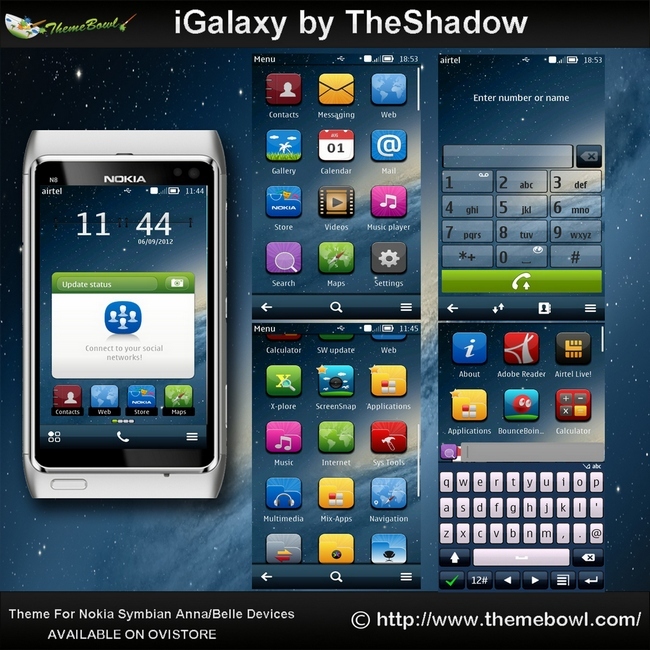 Hello everyone.after few days gap i TheShadow of ThemeBowl.com present you iGalaxy Nokia Theme by TheShadow for Symbian Anna,Belle phones.This is a HD theme and currently supports nokia symbian anna and belle phones respectively.the phones that support are nokia 808 pureview, nokia n8, nokia 701, c7, c6, and other s^3,s^4 phones. 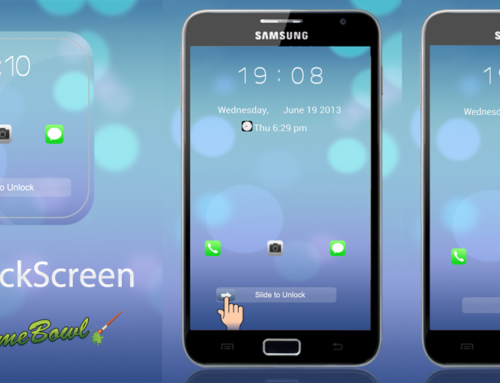 3.Stylish status bar buttons and keyboard. 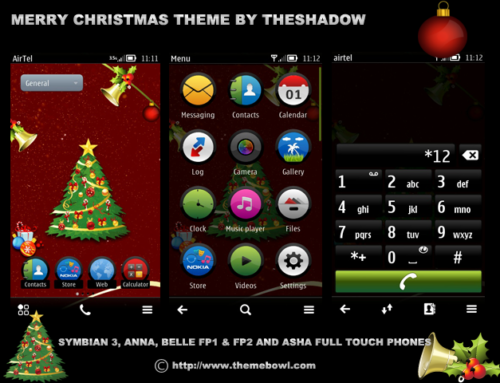 4.compatible with both portrait and landscape mode. 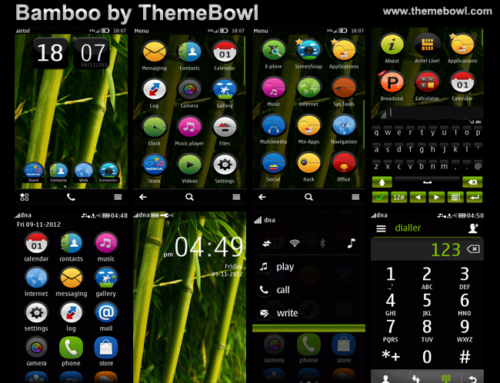 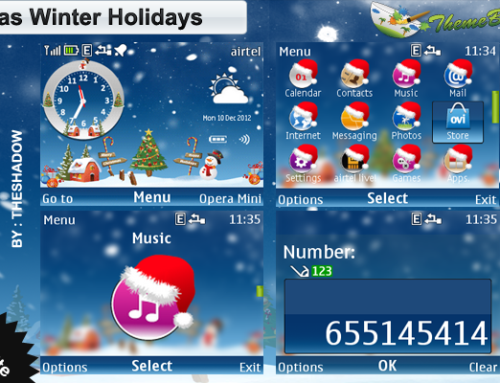 nice theme bhai. 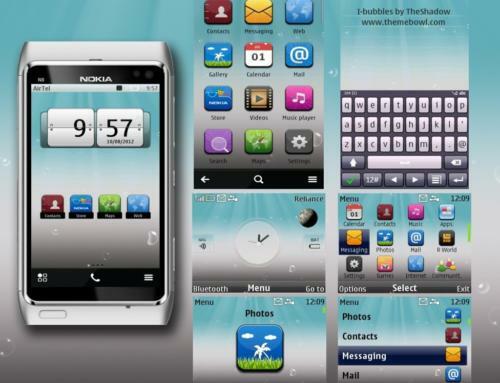 plz create a nokia c101 theme.